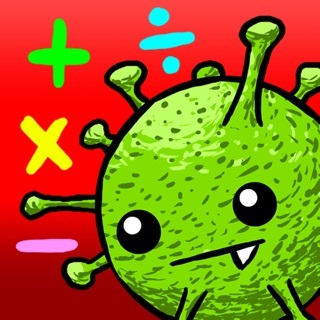 "Sums Stacker" is one of a series of challenges included in the award winning "Math Doodles" iPad app. 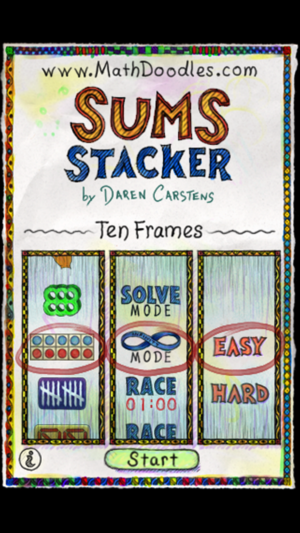 This version of "Sums Stacker" has been designed specifically for the iPhone/iPodTouch screens. "The challenge is bite sized and addicting"
"I really enjoyed Sums Stacker. 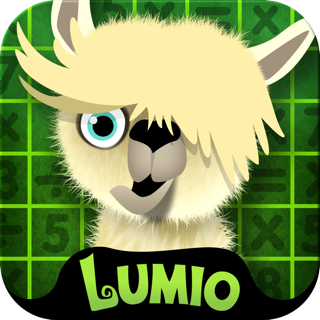 It’s got charm and I love the twist it puts on practicing Math." 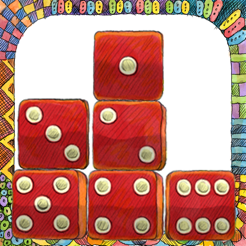 "This is a great, fun way to improve math fluency without boring drills." "Deceptively simple, this aptly named game holds contagious appeal for many age groups." 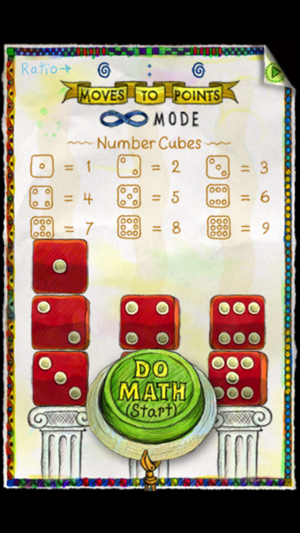 Sums Stacker is a "Math Doodles" challenge that provides plenty of addition and subtraction practice, within a recreational math setting. The mathematical puzzle allows users to play with different representations of numbers, while developing their number sense to create strategies to help them solve problems. There are two modes of play, solve and race, and two difficulty levels. THE PUZZLE: Numerals are piled into three stacks. Each stack is randomly assigned a target sum. Move numerals and sets of numerals around with the tip of your finger from stack to stack until the sums of each stack equal the target sums represented at the bottom of the screen. Once the stacks match the sums, the screen clears and you get another challenge. The numbers are represented in eight ways that vary in their level of abstraction: preschoolers might start with the fingers, dice or ringlets, because they can be easily counted, while older children or adults can find a challenge with coins, Roman numerals, or the word spelled in Spanish. SOLVE MODE: Strategically solve five random sets in the fewest number of moves. Receive a smiley face for each puzzle solved. INFINITY MODE: Allows the user to play as long as they wish. 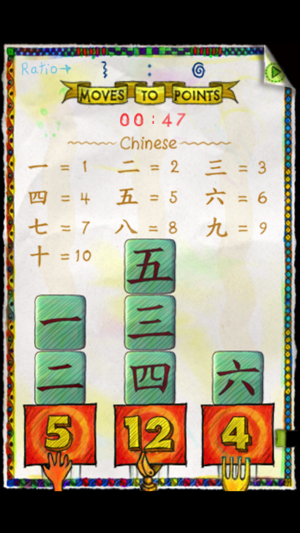 RACE MODE: Rack up as many points as you can solving puzzles, before time runs out. The timer is represented by a tab of paper that works its way around the edge of the screen. EASY MODE: All three target sums are shown. HARD MODE: To make things a little bit harder, one of the target sums is left as an unknown. "This approach to addition and subtraction is much more engaging than flash cards." "This game is extremely well designed and executed." "The proof is in the pudding so the fact that my kids chose to play this game so much speaks to its enormous value." "I Like the fact that they are problem solving and thinking mathematically while practicing basic math facts." "Although this game is geared toward kids, I often find myself playing it while commuting on public transit as it is challenging, addictive, and can be played in short sessions." A quality math experience for kids. 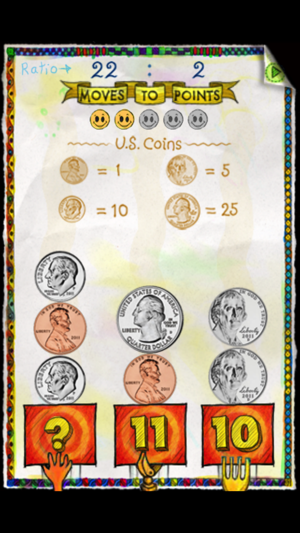 Don' tell your kids, but, Sums Stacker is a great educational activity for teaching and reinforcing elementary math skills. It is my experience however kids will be attracted to the challenge of the gameplay and whimsy of the design and not realize that they are solving math problems. Its is basic enough to pick up on quickly, but offer enough variety to keep it interesting. Although this game is geared towards kids, I often find myself playing it while commuting on public transit as it is challenging, addictive, and can be played in short sessions. LOVE all of these apps! 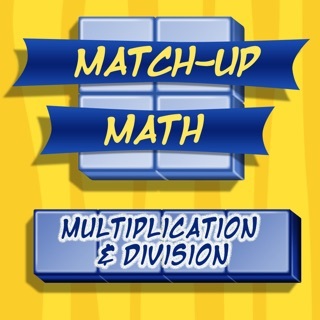 This app (and all of them in this series) gives a fun way to 'practice' addition. The doodle-y graphics, dice, fingers, holes, tally marks… etc… just make it that much more entertaining… but the best thing is that you aren't just given equations to solve, but problems to solve. One of my sons likes it on 'solve' mode, where he can take the time he needs to make each sum correct, and the other likes racing the clock to see how quickly he can solve it. This is a must for classroom iPod kits. This is educational software at its very best: clever, beautiful, and enjoyable. 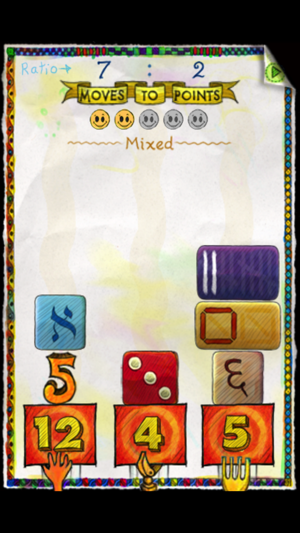 The hand-drawn UI is really charming, and the behaviors (movement and sound) build on it well. The ability to choose different numbering systems (dice, roman nums, braille, tallies, binary, hex, etc.) suggests a deep lesson, that math is both true *and* cultural. And the range of problems - and problem-solving techniques it invites - is impressive. There isn't a patronizing pixel in this app. And, best of all, it made me curious about the dev's other apps - some of which are even more interesting. © 2009 Carstens Studios Inc.